When evaluating the productivity of their front-end, many retailers are turning to Queue Management systems, which are known to enhance the results of workforce management. Comprised of infrared queue monitoring detectors installed over checkout lanes, the technology monitors that checkout lines and number of people entering and leaving the retail outlet. The company’s Predictive Algorithm software uses this information to calculate how many checkouts to be opened within 15 - 30 minutes to meet a predetermined service level. 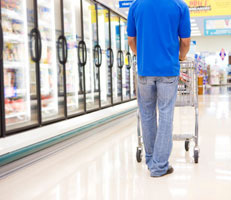 There are many innovative workforce management solutions to help retailers and grocers maximize staff productivity and bolster customer service. For more information on these solutions, read the Grocery Headquarters’ article on “Working it Out” – solutions for workforce management.